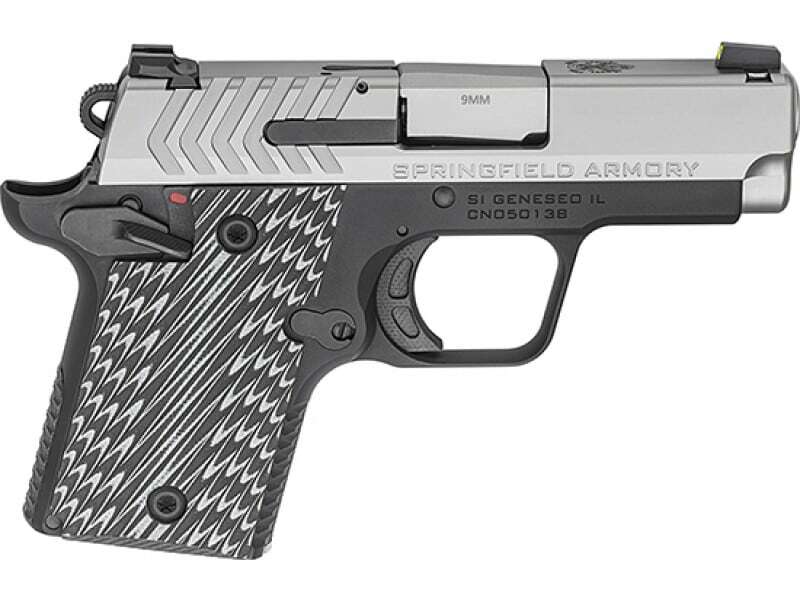 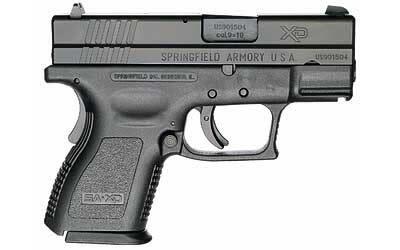 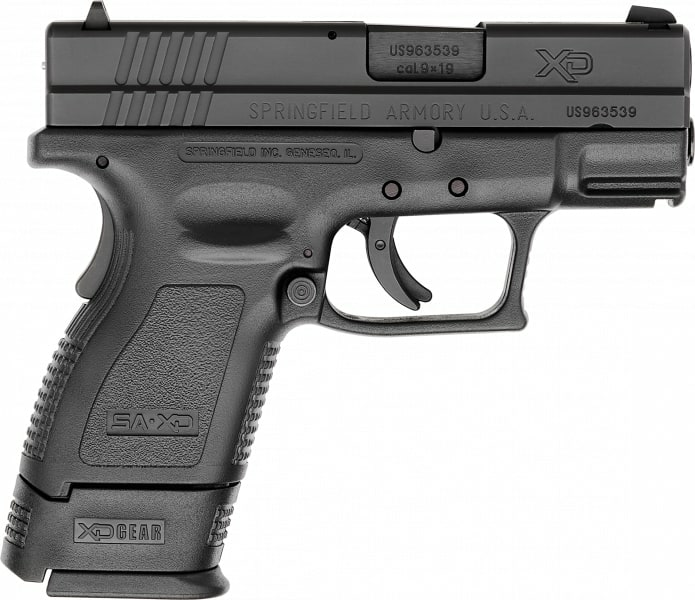 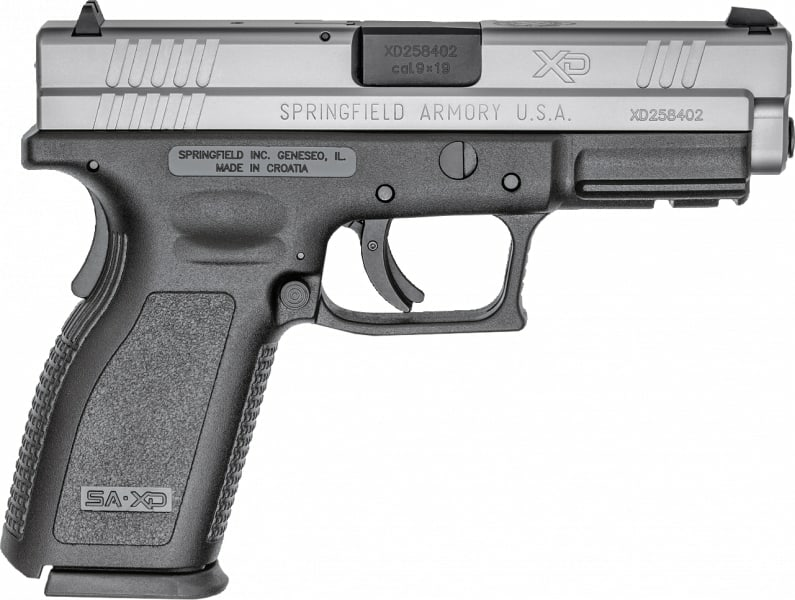 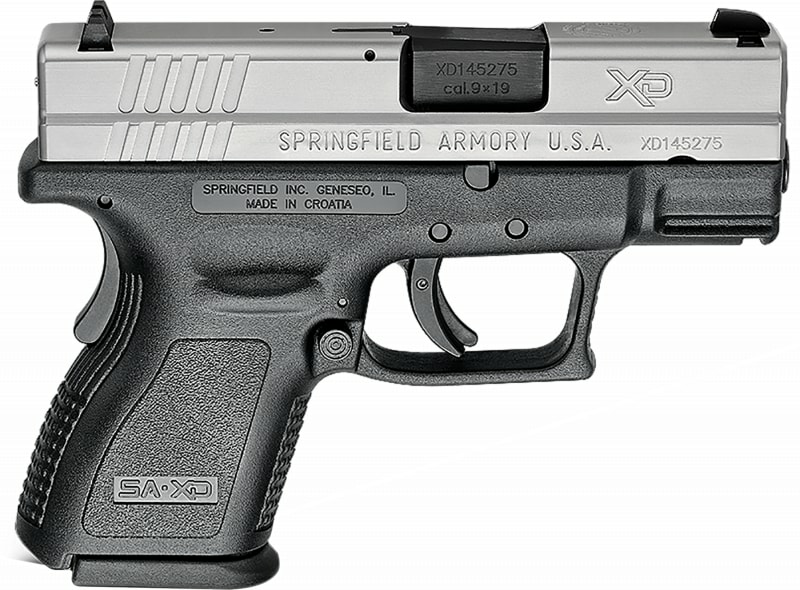 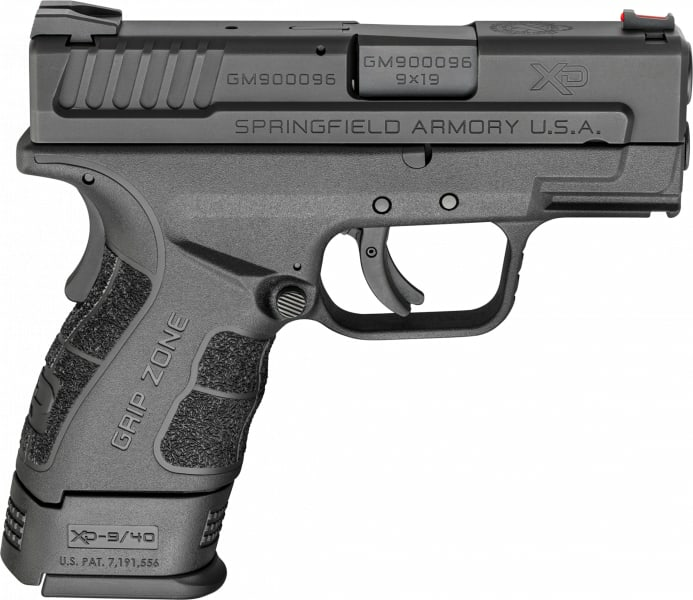 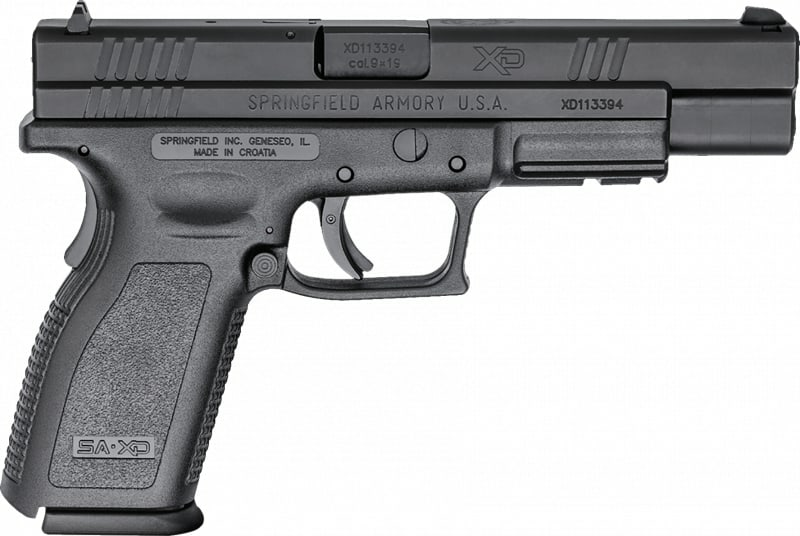 Springfield PG9119S: The 911 both shoots and feels like a full-size firearm, encouraging both practice and daily carry in the most concealable firearm that Springfield currently offers. 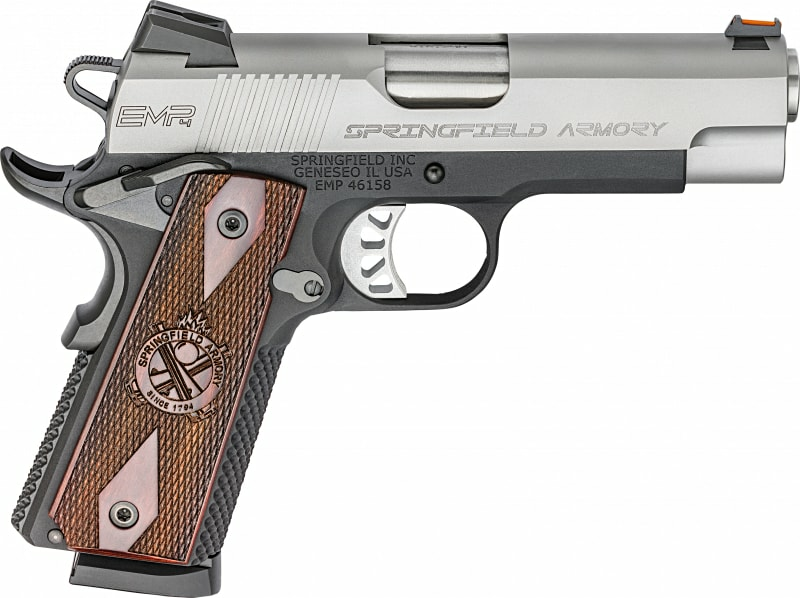 It's small frame shooting with the familiarity of a 1911. 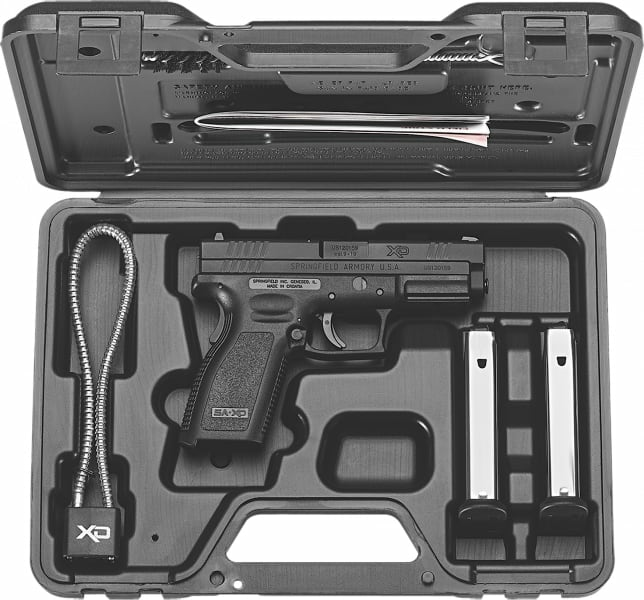 The lightweight 7075 T6 aluminum frame and 416 steel slide measure 5.5 inches long and less then 4 inches high, with a snag-free profile that's undetectable under clothing. 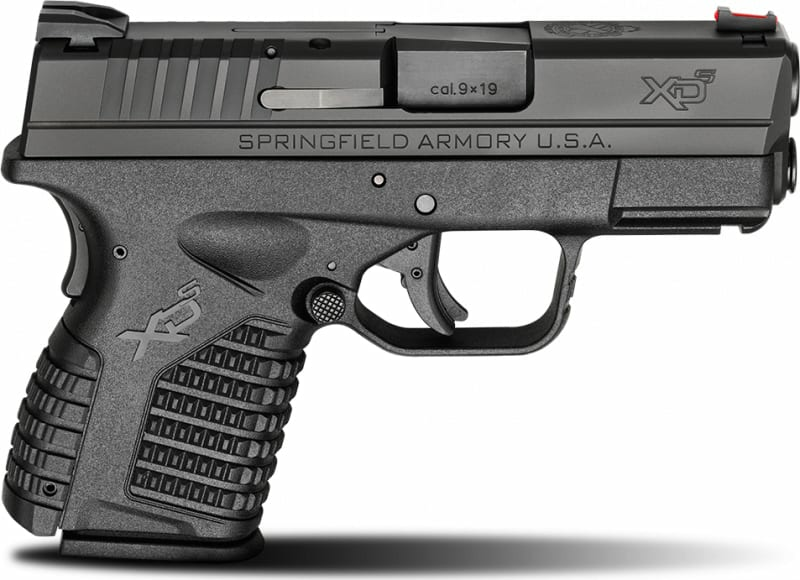 Springfield's Octo-Grip front strap texturing ensures a secure grip and is complimented by a G10 Octo-Grip textured mainspring housing. 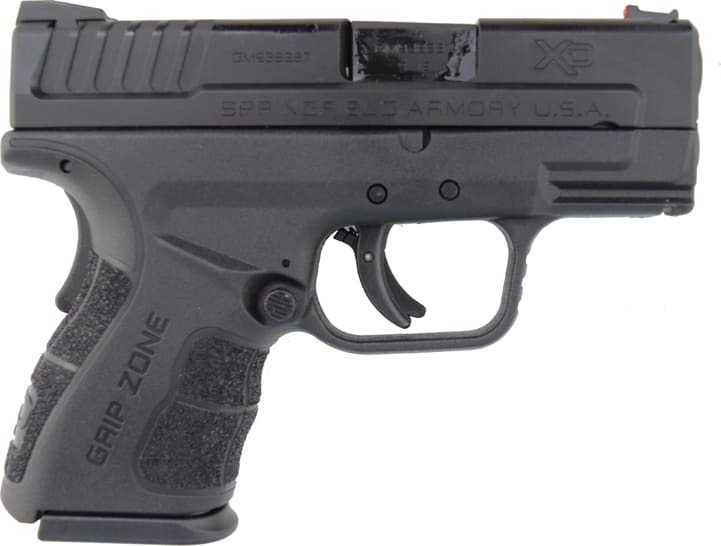 G10 Thin-line grips and a short reset, crisp 5-pound G10 trigger shoe by Hogue come together to give the feel of shooting a full-sized firearm. 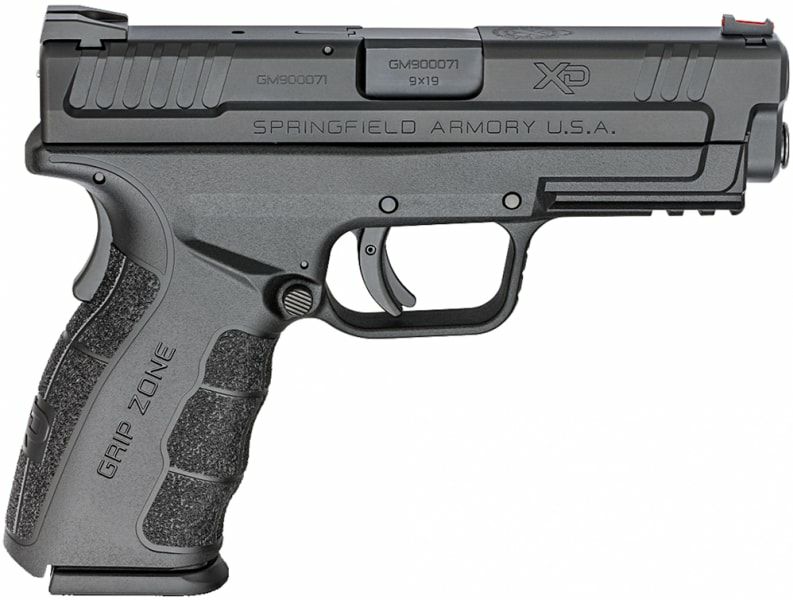 Designed for life-saving defensive use at close range, the 911 features an ambidextrous safety and is perfectly matched with an Ameriglo Pro-Glo green tritium front sight inside a yellow luminescent circle, and a tactical rack rear sight with green tritium inside of white luminescent circles. 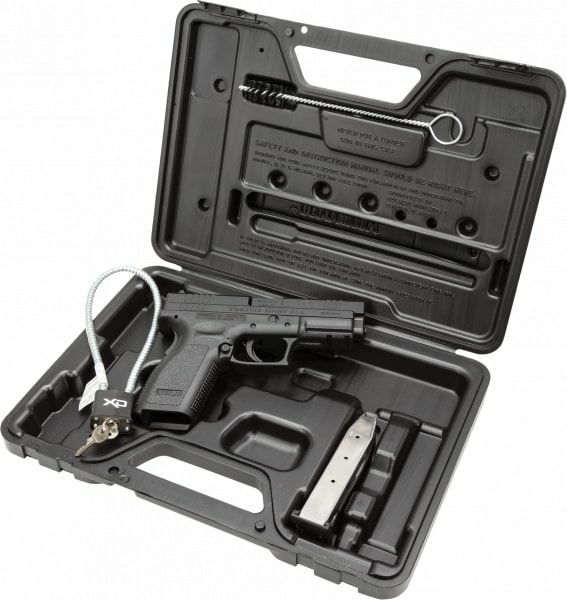 The 911 comes with a flush 6-round and 7-round extended magazine. 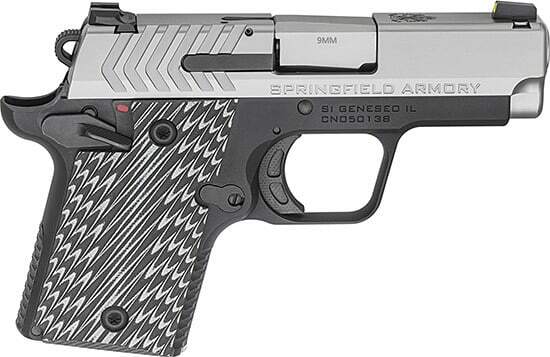 This 9mm Luger model has a brushed stainless steel slide finish with a black hardcoat anodized frame.